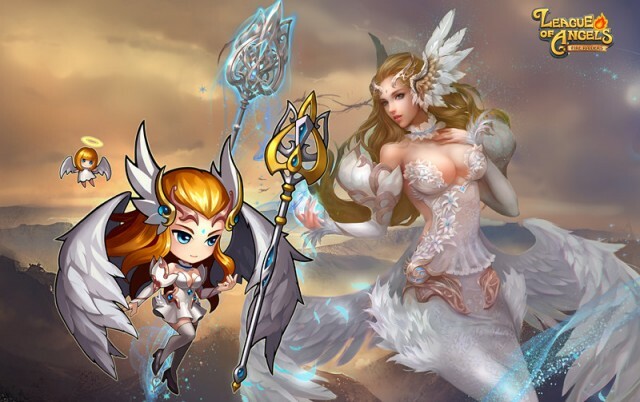 League of Angels - Fire Raiders new update is coming soon, bringing new Angel “Dawn” and more improvements to the game. When Angelina fell to corruption after the Ancient War, the world of the Angels plunged into an endless darkness. She brought back the first dawn and someone has to stand up, and this is the moment Dawn comes here. Read more to find out what this Angel is bringing to your Fire Raiders gameplay. Skill A: The warmth of Dawn increases the Rage of 3 allies with the highest Rage, and also increases their Attack for 2 rounds. Skill B: The piercing light of Dawn deals damage to 3 enemies with the highest Rage, and also reduces their Rage. In battle, Dawn can control the Rage of both allies and enemies, delaying enemy Ultimate skills at critical times while allowing her team to use their Ultimate more often to crush enemies. A strategic use of Dawn's skills will decide the outcome of the battle. What you guys think about this new Angel? Tell us on our Facebook fan page, and prepare for the update by saving your game progress to your GTArcade/Facebook/Google+/Game now! We’ll keep you updated when the new version 3.6 is available on Google Play and App Store.